Finalizing Wedding Invitations? Remember These 6 Things! 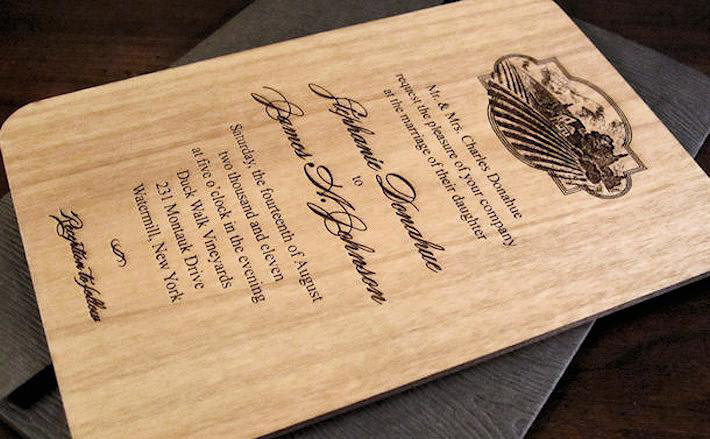 If you thought a wedding invitation is just about a simple card and an envelope think again. The first glimpse into your wedding event should be magical, with a potential to create an impression among the invited guests, such that they become super excited to be a part of the celebration. If the nuptials are being held in the capital city, a little assistance of a wedding theme designer in Delhi will take the edge off the process and make magic happen for you. Before you finalize the wedding invitations here are 6 things you need to remember. 1. Envision your Wedding Day: How do you want your wedding day to look and feel? You should be clear whether you want a traditional, lavish, sophisticated, fun or a romantic wedding. Next comes your taste and style. Do you lean towards subtle and understated, or vibrant and bold? Tell the designer about what you envisioned for your dream wedding and he/she will help you create perfect design for the wedding invite. 2. Color palette: Are you keen on a particular color or colors that you want to incorporate into your invitations? If you have any specific hues in mind that you’d love to include in your invitations and accompanying gifts, provide the professional designers the samples or swatches of the same to make your perfect wedding invitation. Hire a favoured Wedding photographer in Delhi and ensure that the theme is known to them as well so that they can create the right visuals for pre-wedding photography. 3. Other Features: See, touch and feel a variety of sample cards to make the right decisions regarding the features of your wedding invite. Many couples prefer a reply card to get an idea about their guest list. In addition, details like a reception card, directions card, a small booklet with information about the ceremony, order of events can be included. 4. Number of invitations: Keep in mind the number of guests that you would like to invite. Given that guest lists have a way of growing suddenly and at the last minute, always order extra invitation cards. If you run out of invites, the cost of ordering a small number later can turn out to be as expensive as the initial order. 5. Mail invites on time: Invitations should be mailed 6-8 weeks before the auspicious occasion. This will give your guests ample time to respond and you will get a fair idea about the head count much in advance. 6. Budget: Retailers often showcase high-end wedding invitations with frills and accessories. Get acquainted with the costs of various printing methods, add-ons etc. Look at several options, trust your own instincts, and then decide on a wedding invitation that is within your budget and reflects your personal style. All this may seem a bit intimidating and overwhelming at the outset. However, working out the modalities of the wedding card with the help of a professional designer can be a thrilling and exhilarating experience. Just mull over the above pointers one at a time with your designer, and you will soon find an invitation card concept that suits you best.